On the moving weekend Selina and I enjoyed the summer. Sun, lush meadows and 25° Celsius. One week later it became really cold. 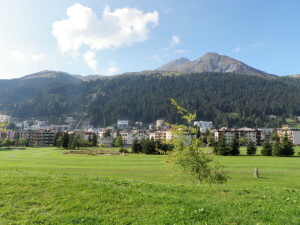 It was rainy too when we went up to Davos. 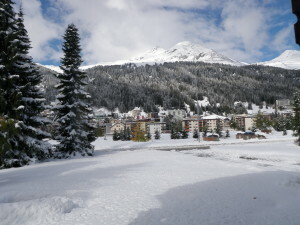 There – more than 1000 meters higher – it had been snowing all day long and there was 40cm of snow. I shovelled a way from the road to the apartment. That’s what I’ll do next six months. I shovel snow and get the apartment for 2/3 of the price. On the pictures you see… before… and after one week! And yes, it is the same mountain. I like my apartment. It’s small and warm. I started a new life here and it’s so nice to have my own place. Aaaaand just a few days left and this village becomes a ski resort. But nope I won’t use the ski lifts. I’m gonna walk up that mountains and save $70 bucks a day… You got me – I’m saving money again! Flying is expensive, gosh! Now I’m already wondering where I will move in some years. To many people their country is their home but the only thought I have is: The Earth is my home and I can go wherever I want. But first… let’s live in the snow again! I like it!